Happy First Day of Spring!! Hope you all are enjoying your Sunday! 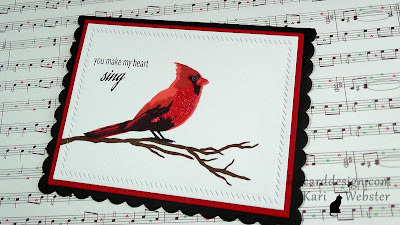 I am sharing this card, and video tutorial today featuring this awesome stamp set from Altenew called Winter Cardinal! Cardinals are my favorite bird for many reasons, and I just love the layered look! I am also using my brand new toy - the Mini Misti! I didn't invest in the original, and happy that I waited as I enjoy having this smaller size! 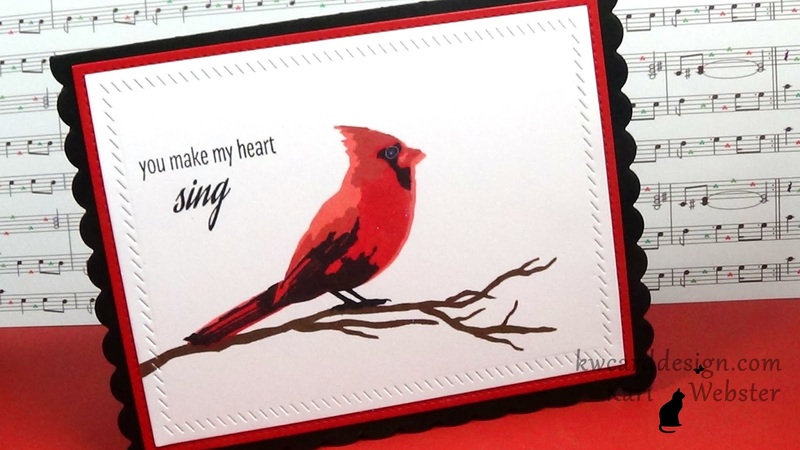 I kept the card very simple as I didn't want to take away from the Cardinal! 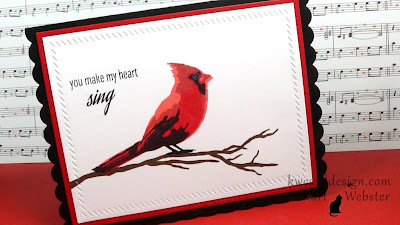 If you'd like to see how this card came together, the video tutorial is below!! You are right! MISTI makes layered images so easy. This cardinal is amazing. Thanks, Kari.